Late this morning, Baseball America published the second major prospect list for the Cubs this off-season. Fangraphs came out with their list last week that focused on a changing of the guard in the Cubs’ system. Baseball America‘s list also has some of that element to it, but it focuses more on a predilection for four guys taken in last summer’s in MLB draft. Baseball America’s list only contains 10 top prospects (subscription required). Like my own list, they put Nico Horner at number one. I was pleased to see someone else take my side in a similar evaluation of his talent. While I can’t disclose any specific excerpts about his evaluation, I can tell you that they do think he will be at Myrtle Beach to start 2019. In the chat that happened after the list was published, Josh Norris of Baseball America thought that Hoerner could be up in 2020. Fellow 2018 draft picks also got a lot of love. Second round pick Brennen Davis came in yet number five while second round of compensation pick Cole Roederer came in at number four. Another 2nd round comp pick was pitcher Paul Richan who was assigned the seven spot. Those are some pretty aggressive rankings for players who have only played short season baseball. However, Roederer drew comparisons to Red Sox outfielder Andrew Benintendi. 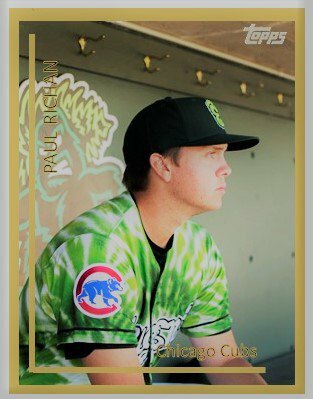 BA also thought Roederer was good enough to start 2019 at South Bend. BA also though highly enough of Richan that he could skip in South Bend all together to start 2019. Those are two surprising statements to me. Previously, I had mentioned if Roederer was good enough, he might be up in May to South Bend. To see him listed this high before he plays full season baseball is pretty exciting for it an 18 to 19-year-old kid. I will definitely be interested to see just exactly where other publications think he should begin next season. The placing of Richan on this list was the biggest surprise. The placing of Davis and Roederer so high was not, but their high standing is quite aggressive at the same time. Overall, the 2018 draft class looks to be quite impressive. 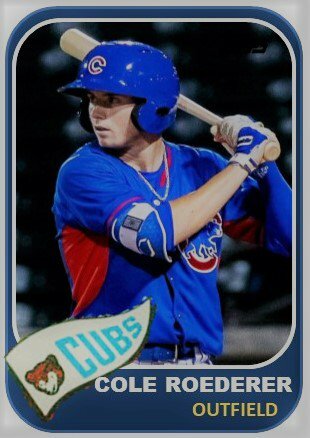 WIth pitchers Derek Casey and Riley Thompson, and 3B Luke Reynolds, the Cubs may have added a lot of depth in a short amount of time. The chat was also instructive as Norris thought that pitcher Richard Gallardo, who just missed the top 10, would be good enough to debut in Mesa next summer. Miguel Amaya, Brailyn Marquez, Adbert Alzolay, Cory Abbott, Justin Steele, and Aramis Ademan also made the top 10 list while Zack Short and Alex Lange just missed. MLB Pipeline looks to be next on the prospect list parade in early January.